A natural and very hard metaporphic rock that originates from sandstone, the transformation takes place when quartz (the mineral) fills empty spaces within sandstone layers. Add in some pressure and heat the outcome is the formation of a beautiful material known as Quartzite. When quartz (mineral form) is heated it begins to crystallize and adds a little glimmer to the stone. A beautiful touch by Mother Nature. Quartzite slabs are as unique as any granite or marble slab. 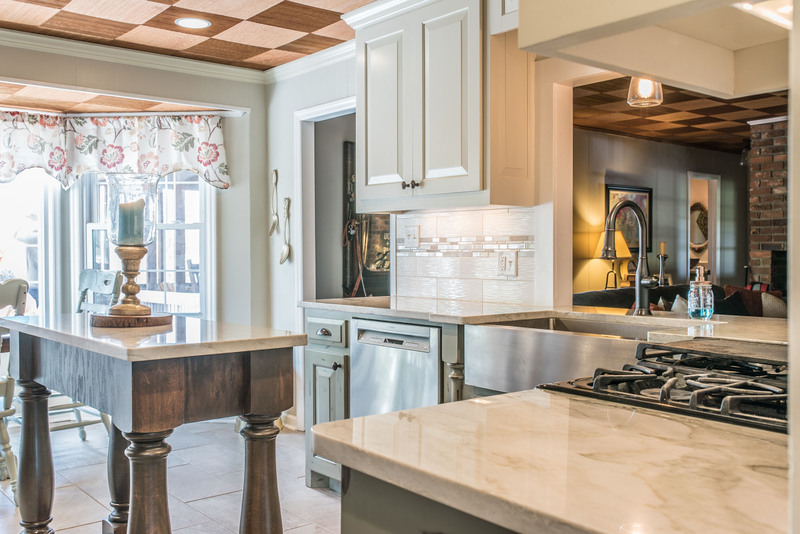 The beautiful veins created through the natural process gives homeowners opportunities to have one-off countertops just like any other natural stone. Beauty is not the only positive Quartzite brings to the table, durability is another strength it possesses. The durability of this stone is very comperable to the other natural stones available on the market. If Quartzite has your attention and you want to have this stone as your countertops, please note, Quartzite must be sealed to protect from spills and foods that can stain and scratch the surface. Want to read a little more about Quartzite? MSI has an informative article to check out. Read MSI's Quartz vs. Quartzite article. We offer the industry's leading seal treatment! This sealer is guaranteed against ALL staining from spills and it comes with a 25 year warranty! The extra cost of this sealer is extremely small when considering the added protection added to your new investment. Click here to Learn About Our 25 Year Sealer. As stated above, Quartz, is engineered from quartz (silicon dioxide), resin and coloring. 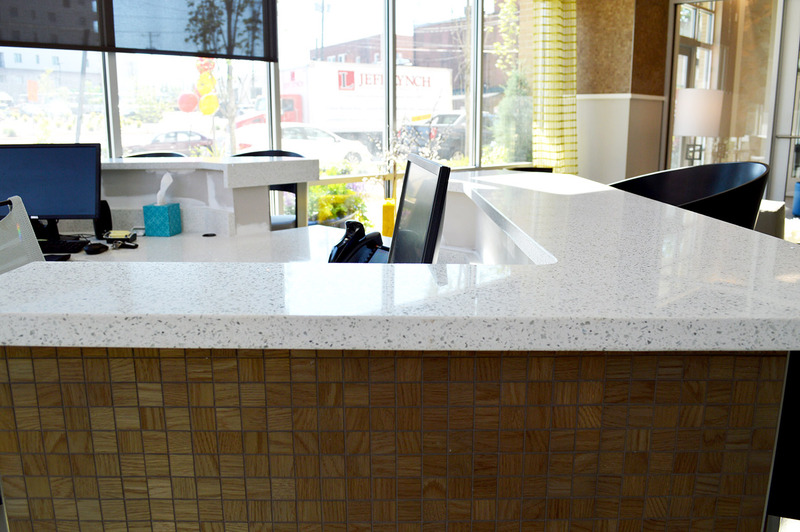 Since Quartz utilizes a resin and is therefore hermetically sealed there is no need to seal material. Quartz comes in many variations of pattern and color making matching not as difficult as with natural stones. This material is one of the most durable surfaces on the market and is very resistant to chipping, scratching, and staining. As a non-porous surface liquids will not penitrate the surface leaving the countertop unharmed. Also, one of the more simple countertops to maintain as there is virtually zero maintenance. Simply put, spill something just wipe it off. In the end, if you are looking for a natural stone but do not want granite or marble, quartzite is a perfect option. But keep in mind since it is a natural stone it will need to be sealed to protect it from daily use or you could be left with scratches and dull marks across the surface. Check out our 25 year sealer! (The link is above). However, if you want something that doesn't have the natural stone look and is extremely durable with very little maintenance involved, come to one of our 20 locations and look at our selection of quartz!